Experts from five continents provide a thorough exploration of cultural studies, looking at different ideas, places and problems addressed by the field. 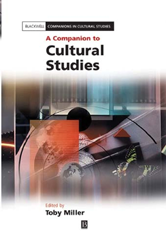 Brings together the latest work in cultural studies and provides a synopsis of critical trends Showcases contributors from five continents. Addresses the key topics in the field, the relationship of cultural studies to other disciplines, and cultural studies around the world Offers a gritty introduction for the neophyte who is keen to find out what cultural studies is, and covers in-depth debates to satisfy the appetite of the advanced scholar.